CV. Raman Pillai (1858-1922) is not only one of the earliest Malayalam novelists, but is easily the greatest of them all, CV., as he was popularly known graduated in 1881 from the University of Madras. He was associated with Malayali as its founder-editor and with a few other Malayalam and English dailies and periodicals as a contributor. 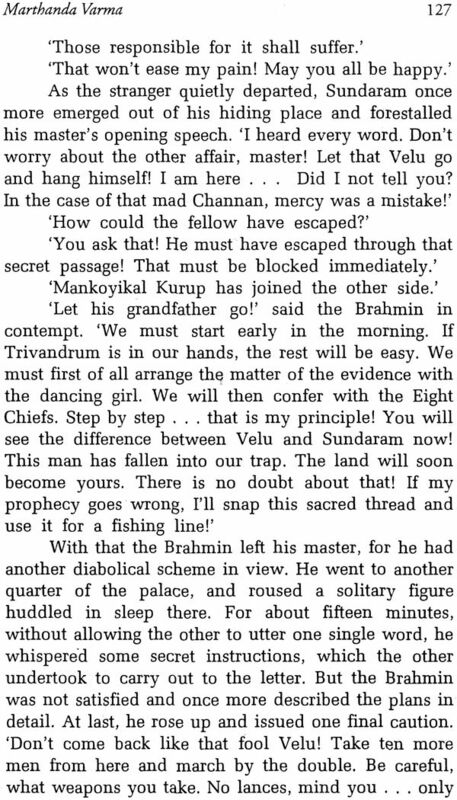 Marthanda Varma (1891) is the first of a trilogy of historical novels which C.V. wrote on the royal family of the erstwhile state of Travancore. The other two are Dharmaraja (1913) and Ramaraja Bahadur in two parts (1918-1920). Marthanda Varma on the surface, is a historical romance, but its subtext is a political one of contemporary significance. In the novel there is a subplot with Subhadra at the centre. Through what she does or what happens to her, C.V. is projecting a futuristic vision of the New Woman in the Indian context. The conventional image of the woman is replaced by an imagined figure that was to emerge on the Indian scene. 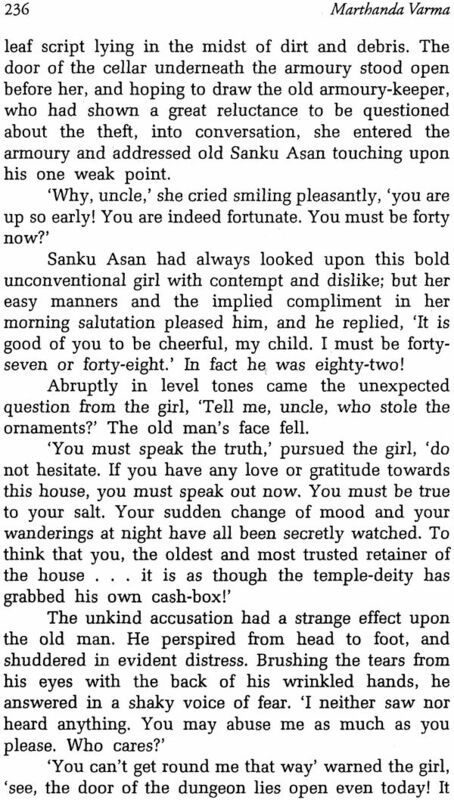 Another unique feature of this novel is the introduction, for the first time, of untouchables, the channans of south Travancore, Hence is fiction asserting humanistic values over and above the taboos and superstitions of yester-years. B.K Menon (1907-1950) was educated in Ernakulam and Madras He wrote poetry in Malayalam and articles and short stories in English. 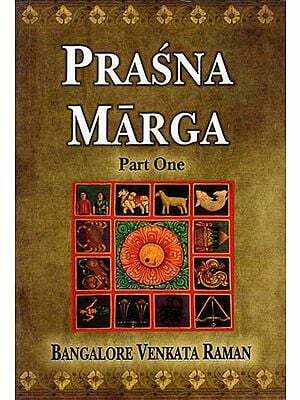 Marthanda Varma was his first master piece in translation. I have very vivid memories of my father, though I have never seen him. The father in my memories is a young man who reads a lot, is rather critical of sentimentalism, impatient of pretension, a poet and a writer who loves Malayalam and English. These memories have come to me not from the family, but from his friends who took the trouble to keep track of their friend’s posthumously born daughter and told her stories of their youth and friendship and of the fun that writing had been. 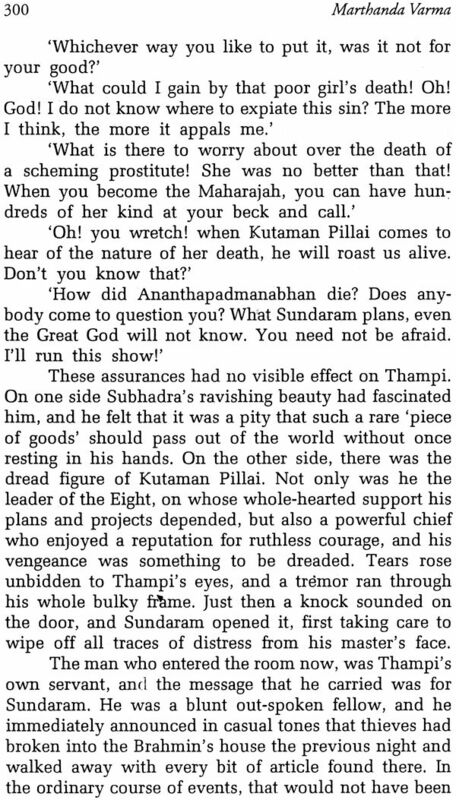 I had read the translation of Marthanda Varma when I was in my early teens, By that time I had read the Malayalam original a number of times. While I thought it a fairly good translation, the sheer labour involved and the facility with which it had been done had not registered. It was only after a number of years, and after I had translated a couple of Malayalam novels into English myself, that the difficulty of conveying the beauty of a passage of Malayalam through a completely dissimilar language came home to me. And C.V. Raman Pillai’s language is difficult even in Malayalam. One can try a completely literal translation, but the result would be awkward and ponderous, the genius of the two languages being so different. Or, one can retell the story in English. But then the translation would miss the graces and peculiarities of the original. The second is far easier to do, but to strike a balance between the two, metamorphosing the original into a readable text that retains a major portion of the beauty of the original is the more difficult and truer method. And that is what has been attempted here, as the translator states in his apology. My appreciation of the skill with which the translation was done and the feeling that it might to be seen by more people, especially those who cannot read C.V. in the original, would have remained just that if it had not been for the interest taken by Professor K. G. Sankara Pillai and his confidence that the book would find its own readers. Dr. K. Ayyappa Paniker who already knew the work and has agreed to write an introduction, placing the original and the translation in their historic context, has been generous with his encouragement. Nor would this reprint have been possible without the generosity of Sri K.N.V.G. Menon, son of my father’s great friend, late Sri Narayanan Nair, who unconditionally released his right over the book in my favour. My thanks to all of them. 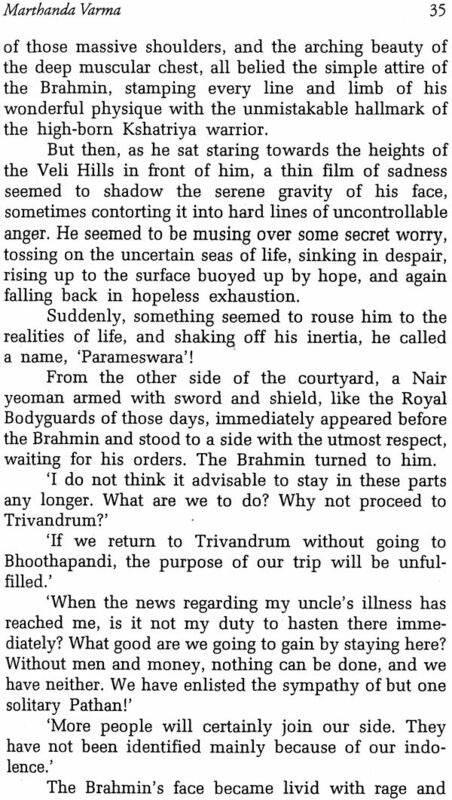 C.V. Raman Pillai (1858-1922) is not only one of the earliest Malayalam novelists, but is easily the greatest of them all. 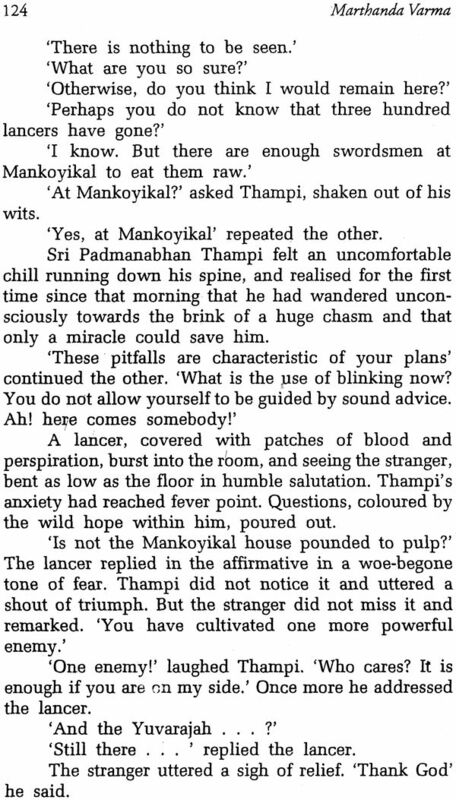 Marthanda Varma was his first attempt at fiction: the first draft was completed by 1883, when he was just 25. But the work was revised and published from Madras in 1891 (11 June). It was described as a historical romance by the author himself and the early critics noticed the resemblance between Sir Walter Scott’s Ivanhoe and Marthanda Varma. On the basis of the ostensible plot it could be argued that in both there is a fusion of history and romance: historical facts jostle against romantic elements. What we get is an imaginative interpretation of the facts of history. Nobody should perhaps go to the novel if only the facts of history are required. There are many historical events and personalities that are not presented in the novel, and some of those that are presented are modified, and even subverted. As in the chronicle plays of Shakespeare, the author has established his authority over the chronicle material and created his own text. Professional historians cherish the illusion that they know facts as they are, forgetting that by the time we come to identify facts they are already coloured and distorted by the way we identify them. In fact, facts are, to a large extent, what we want them to be. Absolute truth is the concern of gods: mortals prefer a relativistic stance of things as perceived by them. This is a book written by a graduate of our University after the manner of the modern historical romance. 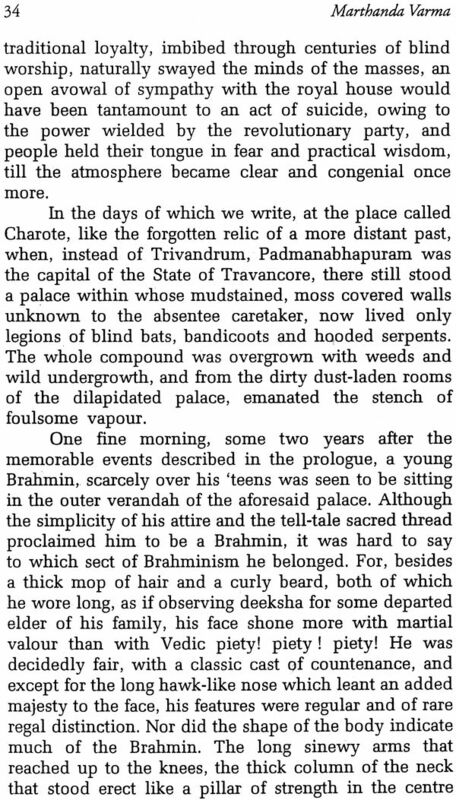 The incidents related therein refer to a remote but important epoch in the history of Travancore and are not without interest as relating to us the manners and characteristics of a state of society, which belongs to the past, a society in which human life was regarded as of less moment than now and physical prowess rather than intellectual greatness reigned supreme. 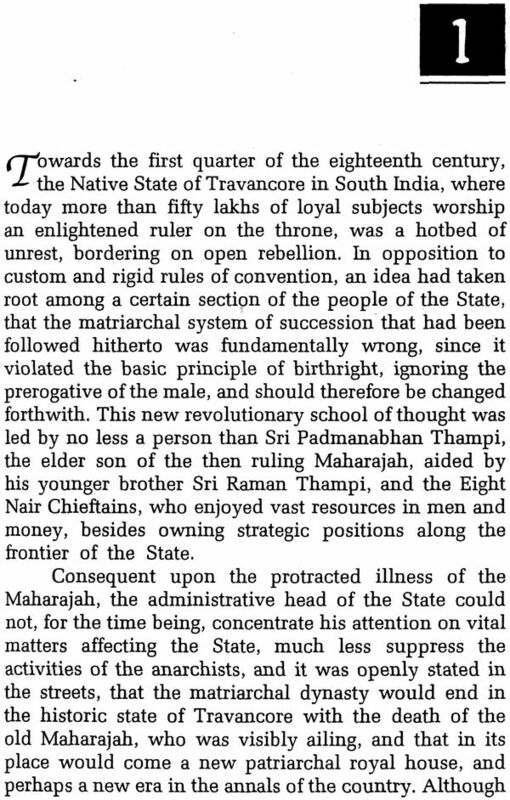 Travancore was then in the throes of a revolution. 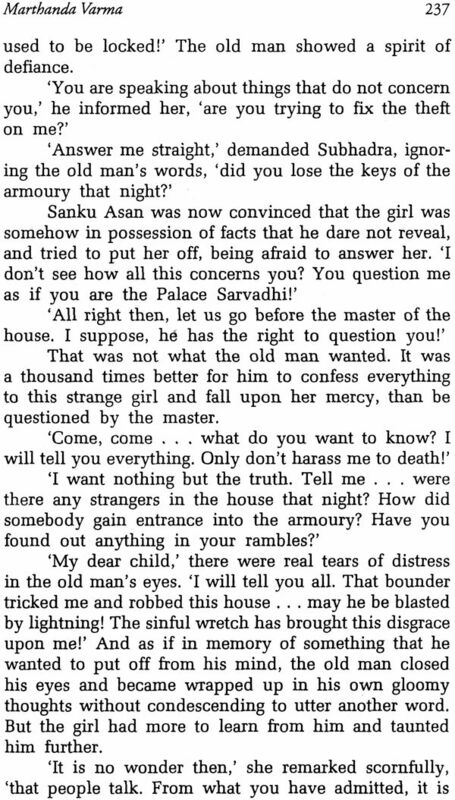 The reigning Maharajah was on his death-bed; and his nephew, the heir-apparent, was devising measures to save himself from the hands of the assassin. There were powerful chieftains throughout the country, each exercising supreme authority over his own local area. 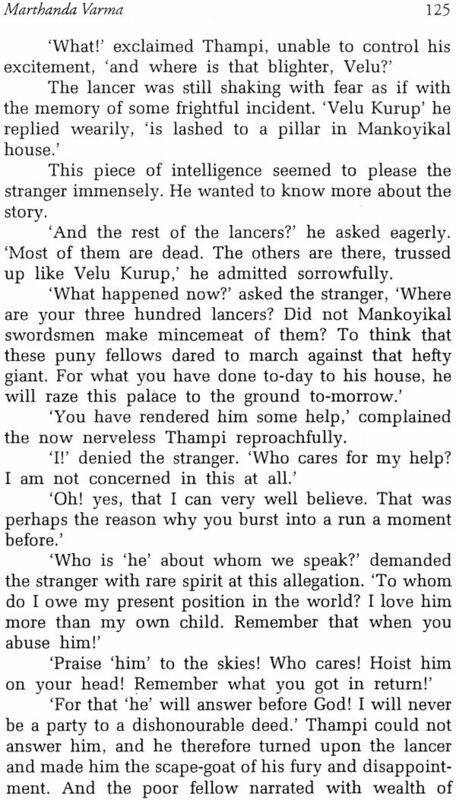 The Ettuveettil Pillamar, the inveterate foes of the House of Travancore, had ever been bent upon the extinction of the ancient royalty, and were now more hopeful than ever. The reigning Maharajah had two sons, and the elder of the two was aspiring for the throne. 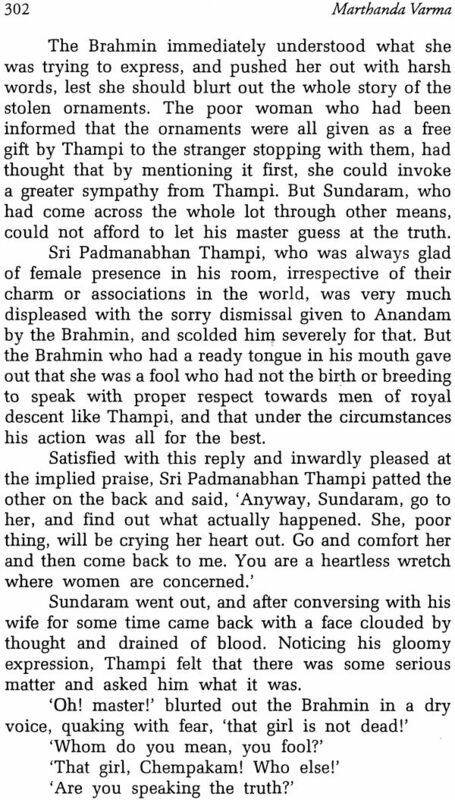 All the powerful chieftains had taken sides; and the change that was impending threatened to settle once for all, at least as far as the Travancore Royal family was concerned, the question which the Malabar Marriage Bill has brought into prominence. The nephew was to be assassinated and the son installed on the throne. The question was a momentous one and was fully discussed in Council by the rebels. Doubts necessarily arose. Longstanding custom was a stumbling block even in those days: and the law of succession from uncle to nephew was as old as the hills! The Maharajah’s son held high rank among the nobles, and a step higher would make him king. Intense thirst for power encouraged him to the foulest deed, and intense hatred of the existing royalty reconciled Ettuveettil Pillamar to the most violent change in the system of succession. 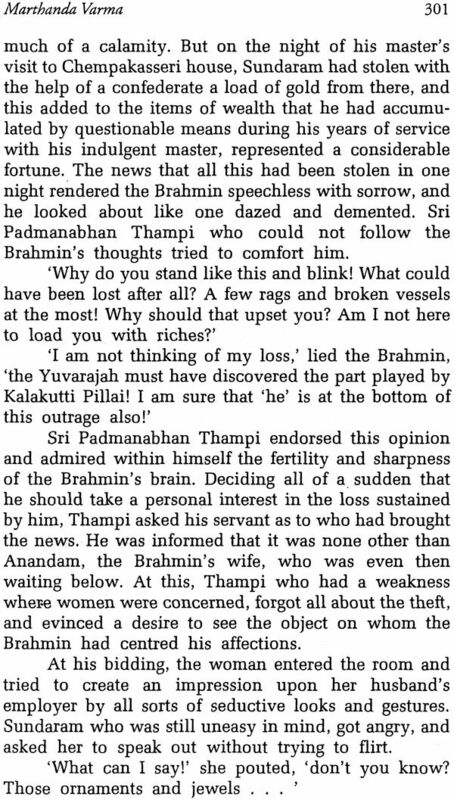 This editorial comment is perhaps the earliest piece of critical evaluation of Marthanda Varma. It underscores the topical relevance of the contention highlighted in the novel, thereby de-emphasizing the importance of the romance element in it. C.V. was not only a student of past history, but a critic of contemporary politics as well. That part of the tradition which he thought would lead to good governance, he supported, while he relentlessly opposed that part of the tradition which led to stunted growth. To him therefore the novel was not primarily a means of entertainment but an instrument of social correction. And in the pages of his three major novels based on historical material (viz. 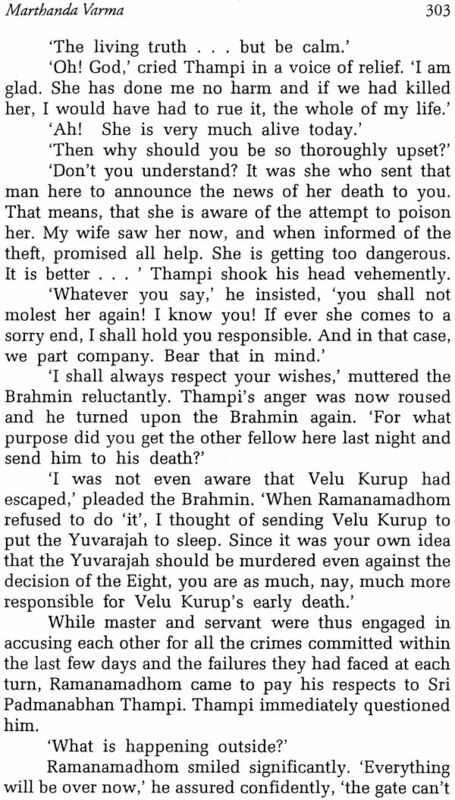 Marthanda Varma, Dharmaraja and Ramaraja Bahadur) and his fiction of social satire (viz. Premamrtam)) CV. provided a critique of issues of public interest. He highlighted the heroism and self-sacrifice of characters from the past who stood up for law and justice and condemned the self-aggrandizement of the corrupt and the disloyal. 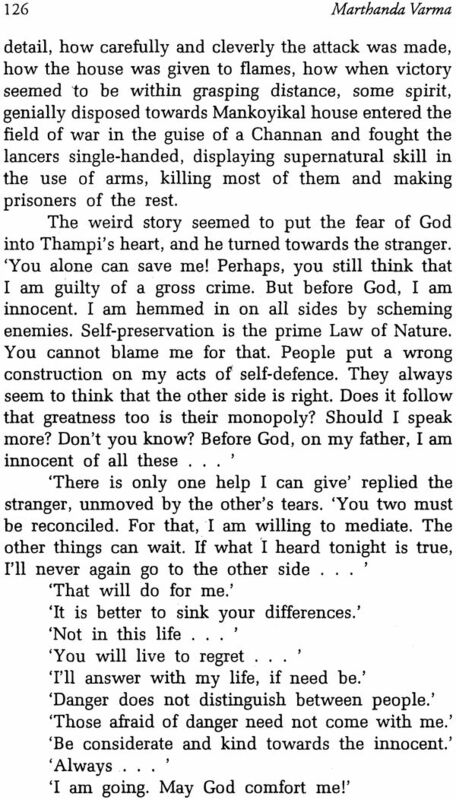 His championship of patriotism is illustrated even in his earliest work, which he started writing before the Indian National Congress was formed in 1885, and was first published in 1891; he distinguishes between unpatriotic self-seekers like most of the barons of the eightfold houses as well as the very sons of the reigning king and the truly patriotic elements in the community like Mankoikal Kurup and Ananthapadmanabhan. The contrast between the good and the bad is perhaps too sharp in this early work, but the author’s sympathies are very clearly demarcated. It is therefore C.V.’ s political acumen that Marthanda Varms bears witness to rather than his capacity to romanticise an episode from the past history of a small locality. A true evaluation of a classic like Marthanda Varma attempted at the present moment, that is, a hundred years after the original publication, has to be based on three parameters of time: one, the actual date of the historical events, that is, here the early decades of the 18th century; two, the date of the composition and first publication, viz, the end of the 19th century; and three, the date of our assessment of the work at the end of the 20th-century. Our evaluation will therefore be concerned with how the 18th-century was viewed by the 19th-century. C.V., who was closely associated as a journalist with the periodical Kerala Patriot, was deeply rooted in the intellectual climate and milieu of his own time. Thus what we have to do now is a 20th century critical evaluation of a 19th century fictional interpretation of what happened in an 18th century historical setting. It is true that C.V. drew upon the history of Kerala in the 18th century to construct the surface text of his three novels, but their subtexts are concerned with matters of serious interest to the people of his own time. In Marthanda Varma, for instance, there is the subplot with Subhadra at the centre. Through what she does or what happens to her, CV. is projecting a futuristic imaginative vision of the New Woman in the Indian context. 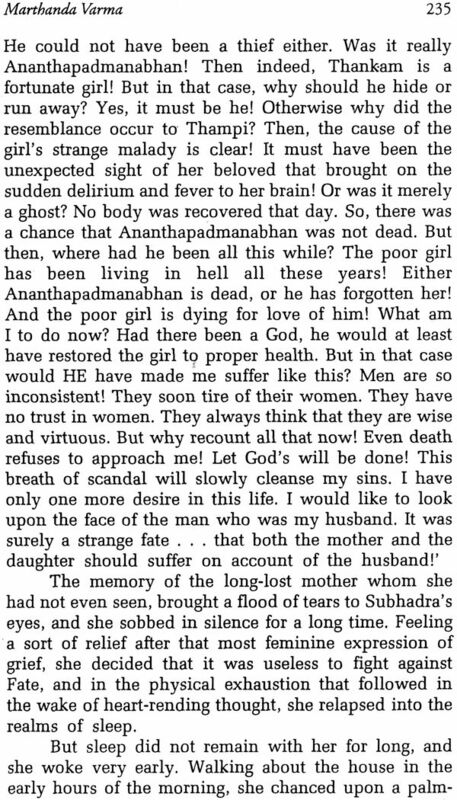 The conventional image of the woman as the passive sufferer is replaced by an “unrealistic” heroic figure—a figure that was yet to emerge on the Indian scene—a figure that defines a hitherto unperceived role for woman, a social/political role despite her personal suffering. She bears the badge of suffering; she makes big sacrifices. 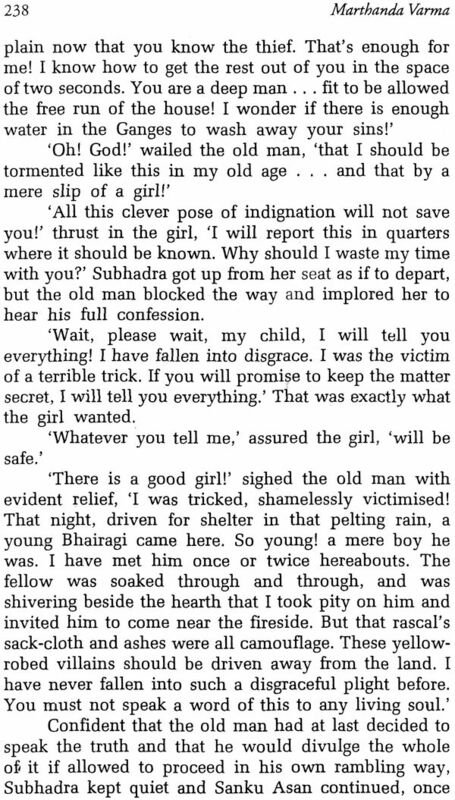 An illegitimate child who loses her mother very early in life, a victim of scandal and slander, misunderstood as a woman of easy virtue because of her openness and sharpness of mind, Subhadra after she has been deserted by her husband identifies a role in society for herself and plays a very crucial part in the internecine conflict between Prince Marthanda Varma and his enemies. She may be closer to C.V.’ s own time than to the historical date of the events she influences. Could one guess whether some historical character like the Rani of Jhansi could have served as a model? Subhadra’s heroism—she could indeed be called one of the first female heroes in Malayalam literature—is not motivated by mere self- sacrifice for the sake of love, but by political considerations. Like the young prince who is besieged by enemies, she too is surrounded by enemies; while the prince escapes murder, thanks to Subhadra’s timely intervention, she herself falls a victim to the bloodthirsty sword of her own uncle, the leader of the anti- royal caucus. The Mathrubhumi Printing & Publishing Co. Ltd.